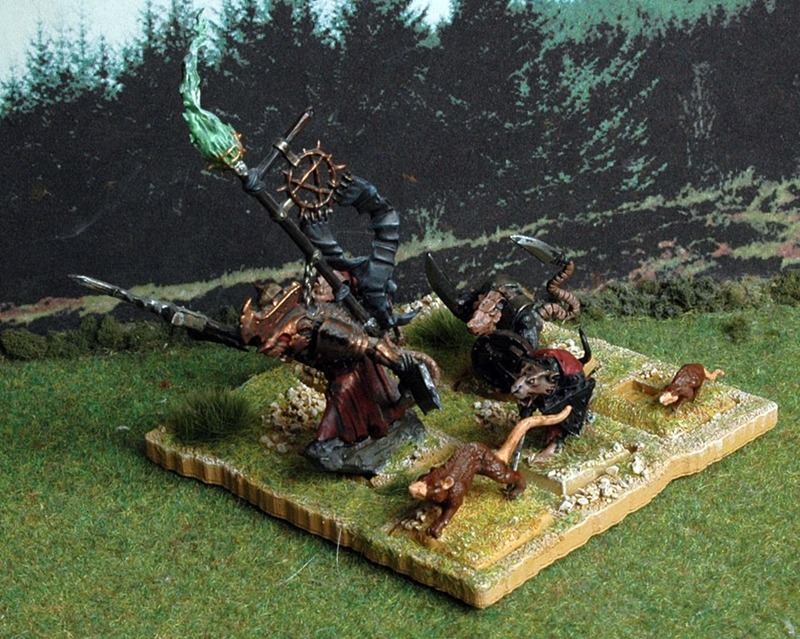 Another dive into the boxes of old Warhammer models hanging around the house and I’ve put together a force of Skaven in Dragon Rampant. Most of these were painted by my son when he was about 13, though I did a few of the character models and most of the basing. A few sabots from Supreme Littleness Designs and I’ve got another force upwards of 50 points for Dragon Rampant. Centrepiece of the army is this screaming bell. 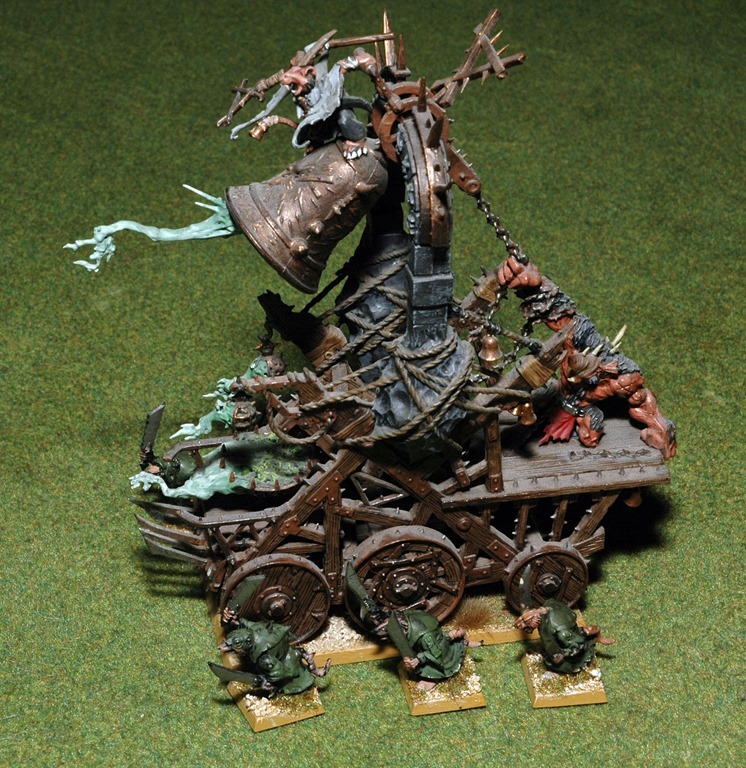 Heavy Foot with a Spellcaster or Wizardling attached. 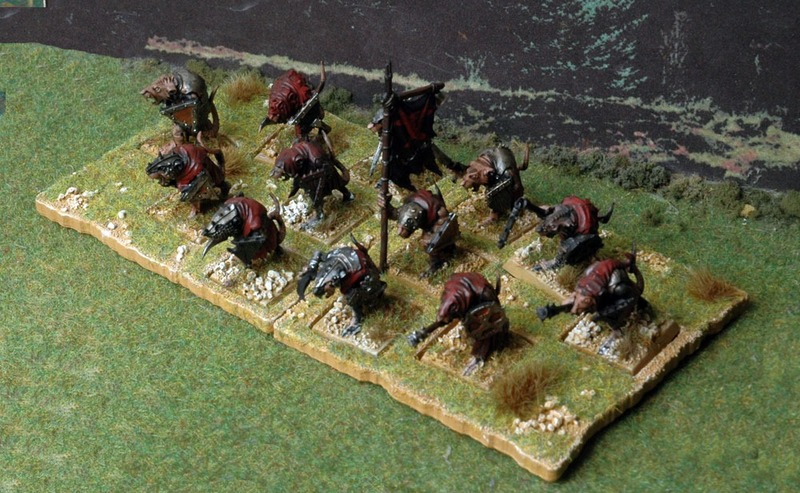 The core of the force is made up of five units of Skaven Clanrats. I’ll probably be using them as Light Foot. 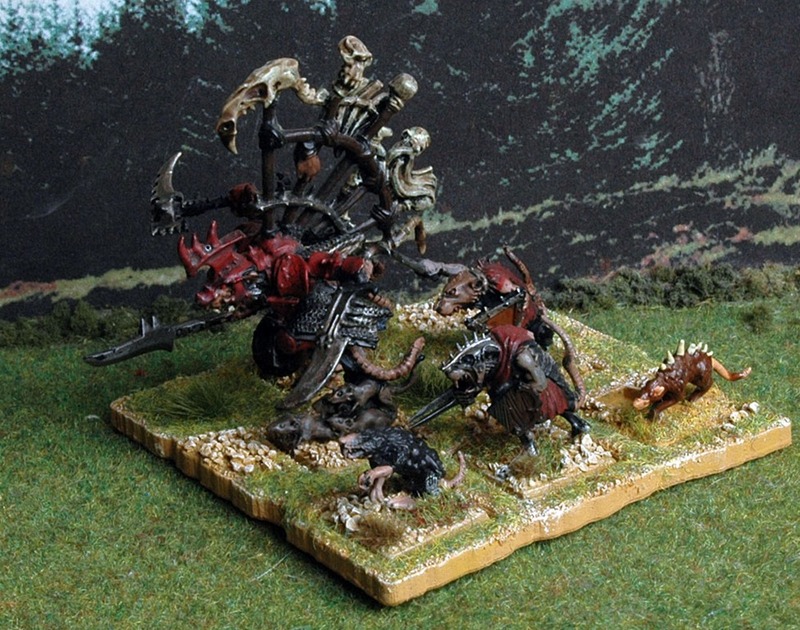 But by swapping out one of the normal Skaven for a specilist figure or two they can become something else. 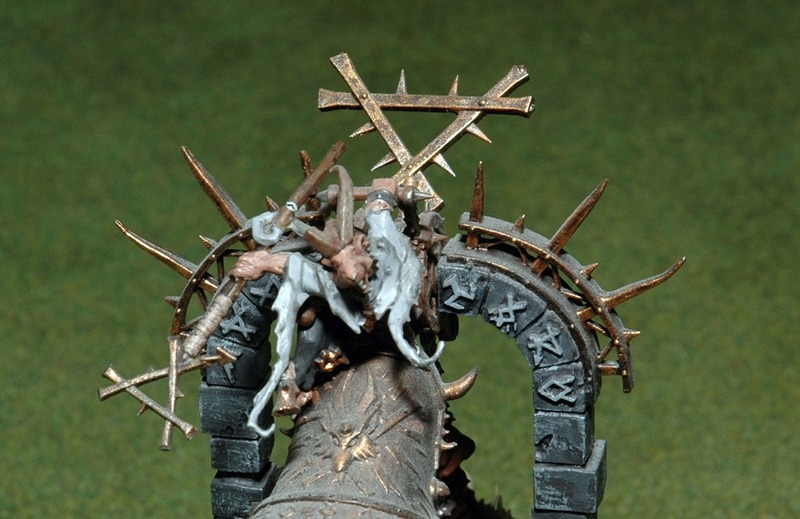 A Slavemaster with a whip will motivate the troops and turn them into Bellicose Foot, or give them the Offensive bonus. Add a magic user and they’re Light Missiles while a poison globadier indicates I’ve taken Short Range Missiles. Plague Monks look like they’d be Heavy Foot. 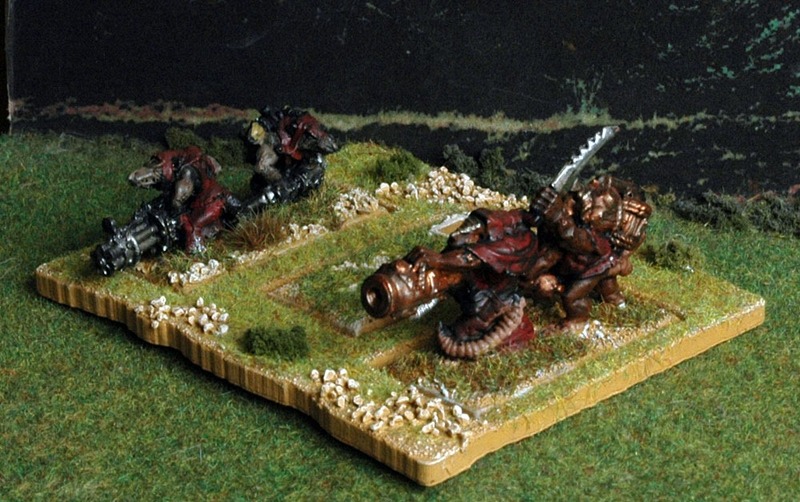 Skaven Warlords can be Heavy Foot. 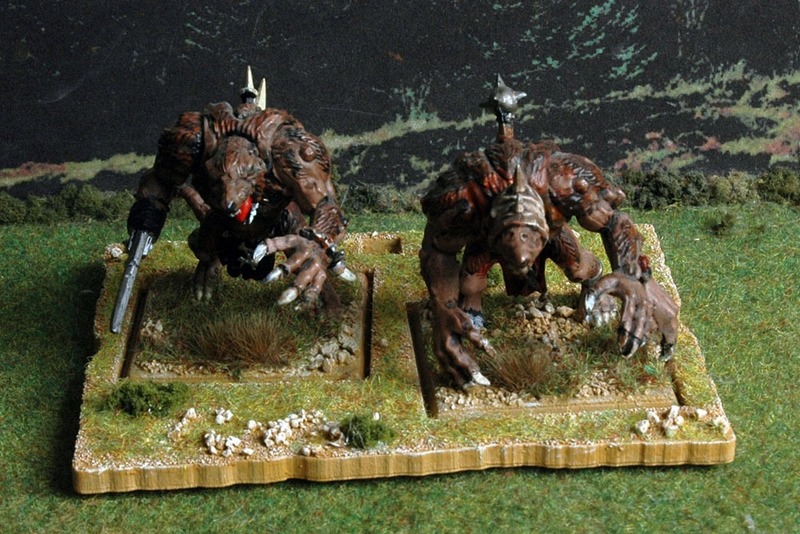 This pack of rats could be used as a Ravenous Horde, as Bellicose Foot or even as two Lesser Warbeasts.